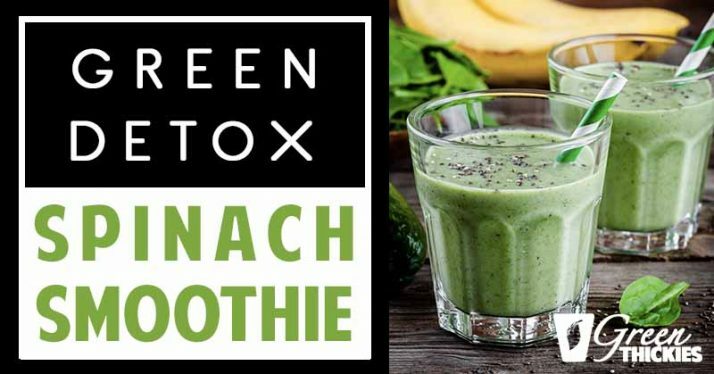 Your body is going to thank you for this green detox spinach smoothie. You might not believe me, but this recipe actually tastes good as well as satisfying all of your cravings. It is the perfect healthy snack to keep you going in between meals. Have you ever wondered how Popeye could down a can of spinach without grimacing and spitting it out later? Well, that’s just cartoons, right? If I told you to go and eat a massive bowl of raw spinach, I’d say you’d probably struggle to finish it and enjoy it. For a veggie so healthy, spinach does taste weird, especially when still raw and eaten alone. But did you know that the bitter taste in spinach is actually caused by its oxalic acid content? This is actually what gives you the lingering aftertaste. And overcooking doesn’t help in banishing this bitter taste either. In fact, cooking it beyond the ideal length will make spinach slimy, which will only enhance the strong bitter taste in the veggie. No wonder even kids won’t touch their spinach no matter how inviting it looks when cooked. I myself had a hard time balancing the flavors of spinach along with other ingredients in a salad. 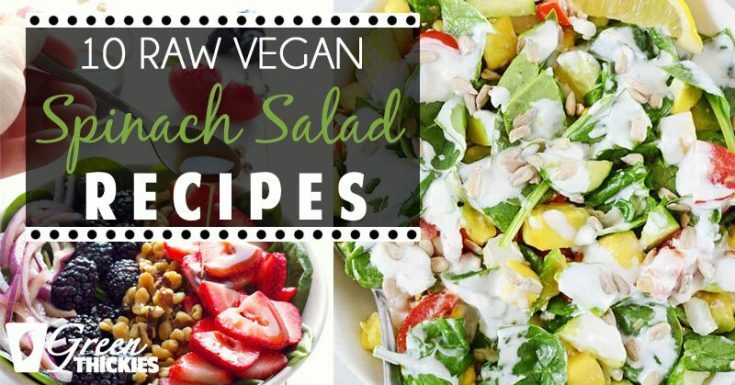 I don’t particularly enjoy raw spinach salads. But I still want to get in my raw spinach. I have discovered that I can actually completely hide the taste of spinach in a smoothie, without incorporating chemical additives which will only ruin your health. I have successfully invented a recipe that will surely change your mind about spinach. 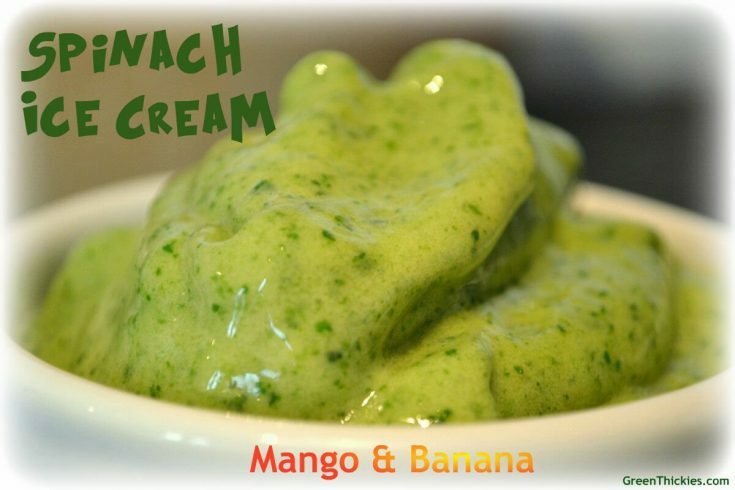 A recipe that doesn’t involve cooking, chemical flavor enhancers and is ideal as a replacement for your junk food snack which will also give you a nice natural energy boost. 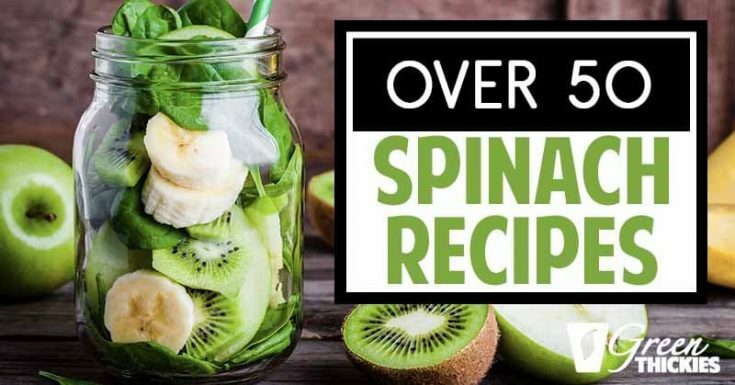 In this article, I will show you just how to prepare spinach as a delicious snack to satisfy your hunger pangs in between meals. 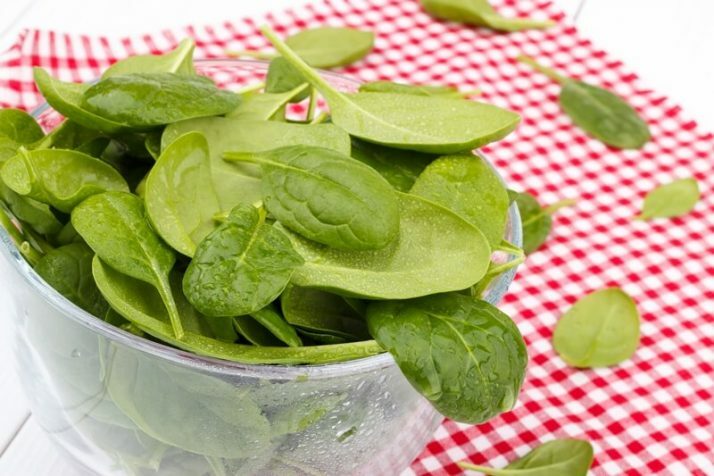 A cup of raw spinach has only 7 calories, which makes it an ideal food for low-calorie diets. As with other veggies,the low calorie content in spinach contributes to satiety without the risk of gaining weight if ever you find yourself becoming addicted to this leafy green. How could a bitter vegetable be addicting? If you’ve never heard of green smoothies before, you’re missing out on a lot of good stuff. Spinach smoothies are actually one the best discoveries I have ever made and I vouch for their tastiness, nutrient density and easier consumption. So you think only fruits can make up a delicious smoothie? While you may be right that fruits taste more delicious than vegetables, have you ever thought about missing out on veggies’ important nutrients? Why skip vegetables, when you can actually incorporate them into your fruit smoothie recipes without the fear of turning them into a disaster—both in taste and consistency? For one, spinach easily blends up and doesn’t leave pulps or chunks in the blending pitcher and blades. 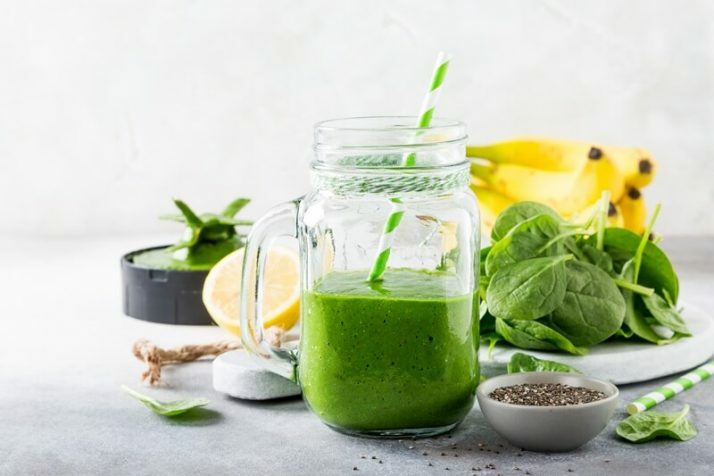 A spinach smoothie, unlike with kale, has a better texture which is why it is a perfect veggie to use for green smoothies. Spinach also has a much more mild taste than kale so it’s much easier to hide in a smoothie. With its vitamins, minerals and other nutrient compounds, spinach deserves to be enjoyed for its healthy benefits to your body. 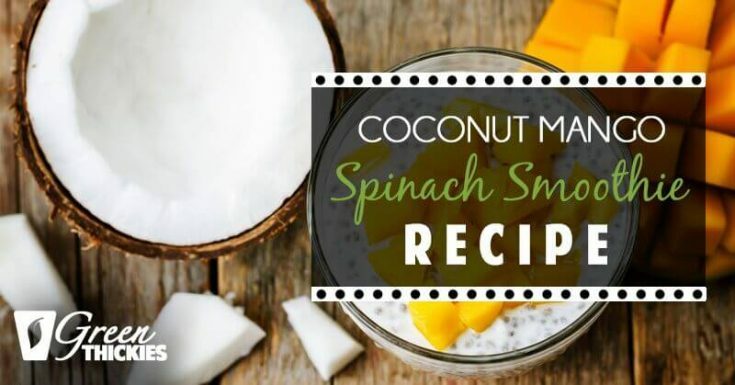 Besides, opting to blend the spinach will simplify your consumption of this veggie without having to dread the bitter aftertaste and constant munching of chewing through a big spinach salad. A spinach smoothie can help you in your weight loss efforts. You can either choose to replace entire meals with spinach smoothies, or you can just use them as snacks in between other healthy meals. Today I’m going to focus on spinach smoothies for snacks. 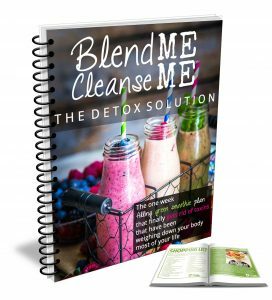 But if you want more information about spinach smoothies as meal replacements, check out my complete guide to meal replacement shakes here. Drinking a spinach smoothie snack, is quite filling; thanks to its fiber content and thylakoids which aid in making you feel full and energized. Also, you’ll never have to fear overconsumption of this smoothie, which means you stay within your diet and still not feel deprived as most restrictive diets do. You can have it anytime minus the guilt. 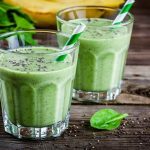 What Is The Spinach Smoothie Diet? 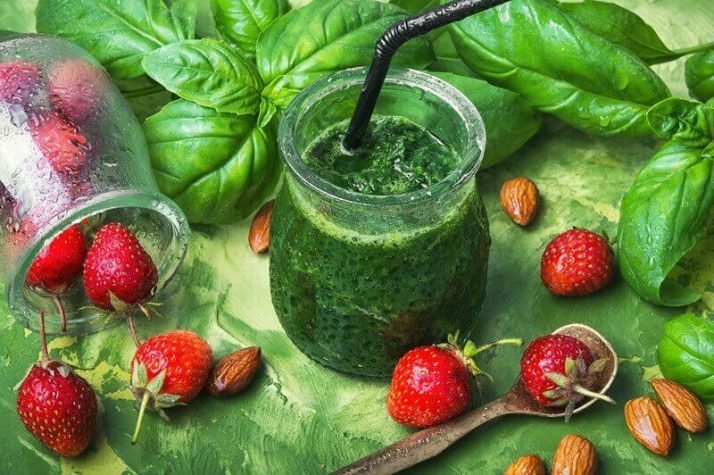 This is a diet consisting of smoothies that make use of spinach as the main ingredient. In the past, I have had health issues which made me feel weak and eventually, overweight. 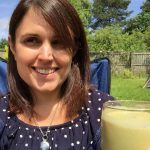 It took a disastrous honeymoon which I spent in the hospital to make me decide to do something for my own health recovery. I started experimenting with different vegetables, fruits and nuts to come up with a smoothie that contains all the necessary nutrients I need, but with fewer calories and much more appetizing than when eaten alone. That’s when I discovered spinach smoothie recipes, which helped me lose 56 pounds in just a few months. Inspired by my own experience, I am now helping other people achieve not only their goal weight, but also their various health objectives. 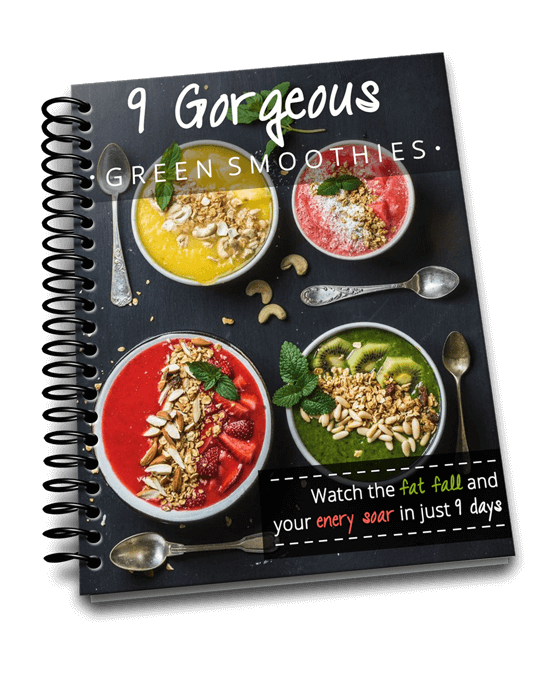 I have created meal plans in which the majority of recipes include green smoothies extracted from leafy greens such as spinach. Thus, the spinach smoothie diet was born. 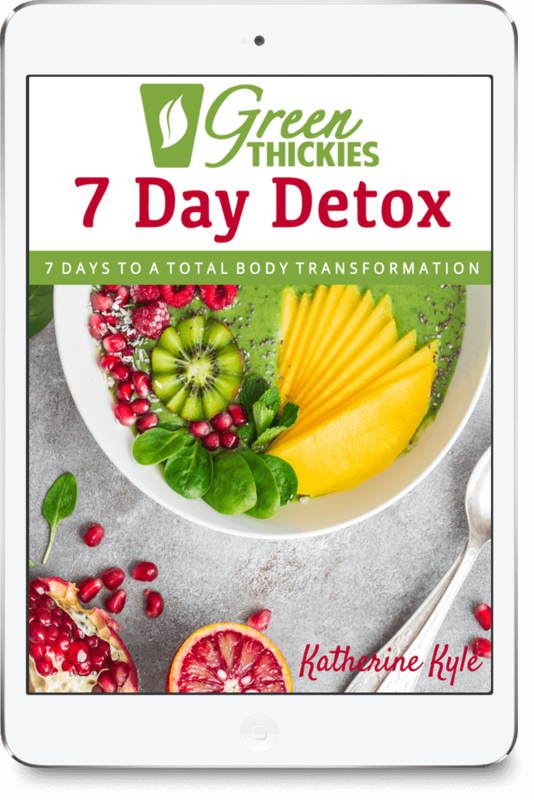 Click here to get a copy of my 7 Day Spinach Smoothie Detox. This recipe assumes you are using fresh spinach. But you can easily replace the fresh spinach with frozen spinach. Just weigh the spinach rather than trying to use a cup. For this recipe you would weigh out 30 grams of frozen spinach. 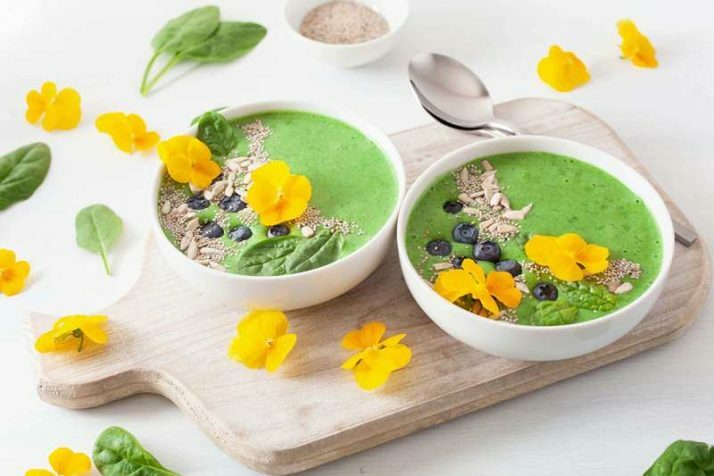 You can blend frozen spinach in a high speed blender, but if you have a regular blender, you will need to either leave your frozen spinach to defrost for a while first, or defrost the frozen spinach quickly by warming up the almond milk and pouring that on top of it. 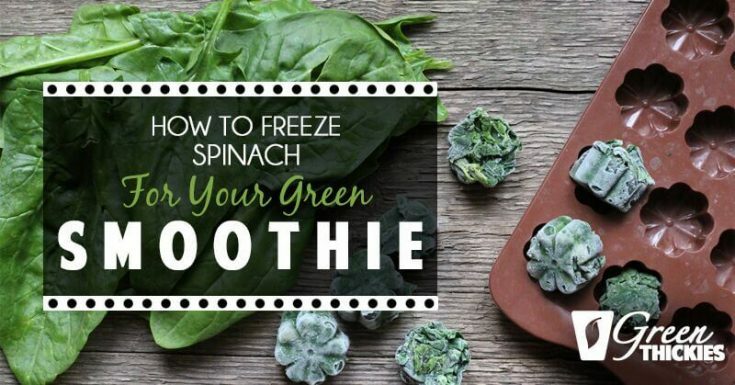 If you want to know how to freeze your spinach for spinach smoothies, check out my blog post about that here. This spinach smoothie is the perfect snack in between meals. It is very low in calories, which makes it the perfect way to satisfy your hunger until your next meal. This recipe is very quick and simple and easily doable first thing in the morning. 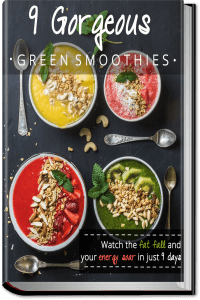 If you want to turn your spinach smoothie into a meal replacement shake by adding other ingredients, check out my Basic Green Thickie Recipe which shows you exactly how to do that. You can cool the smoothie down by using either frozen banana, frozen spinach or adding some ice at the last few seconds of blending. You can replace the almond milk with any plant based milk. 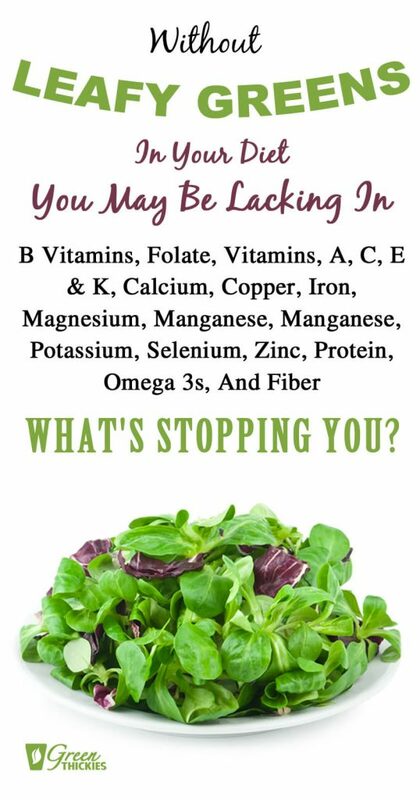 You can replace the spinach with a green powder if you don’t have any fresh greens. You can replace the banana with 1 cup of mango or 1 small mango, 2 small pears or 2 small peaches. Get over 50 more spinach recipe and all of my tutorials in my ultimate guide to spinach by clicking the link below. 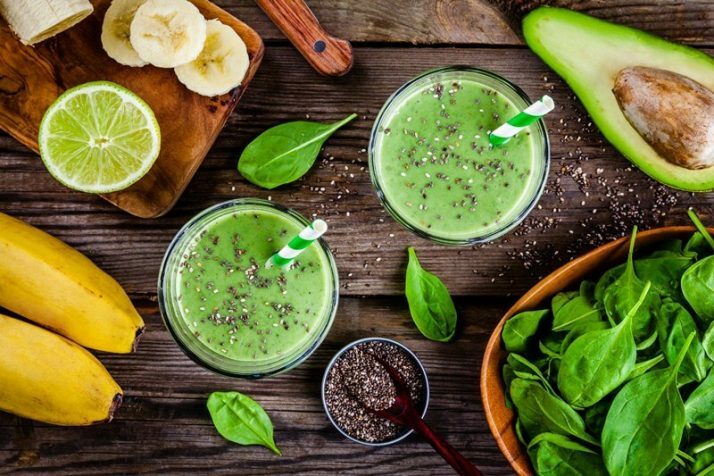 Making a spinach smoothie, even as a snack in between meals, can help you stick to your diet and still be able to enjoy it. Spinach doesn’t have to taste boring or bitter, so it’s good to follow a recipe that uses this veggie in an innovative and delectable way. I hope you can now give spinach smoothies a try, and who knows, you might actually start slurping glass after glass of this delicious and highly nutritious snack substitute. If you enjoyed this Green Detox Spinach Smoothie, please let me know your thoughts in the comments.